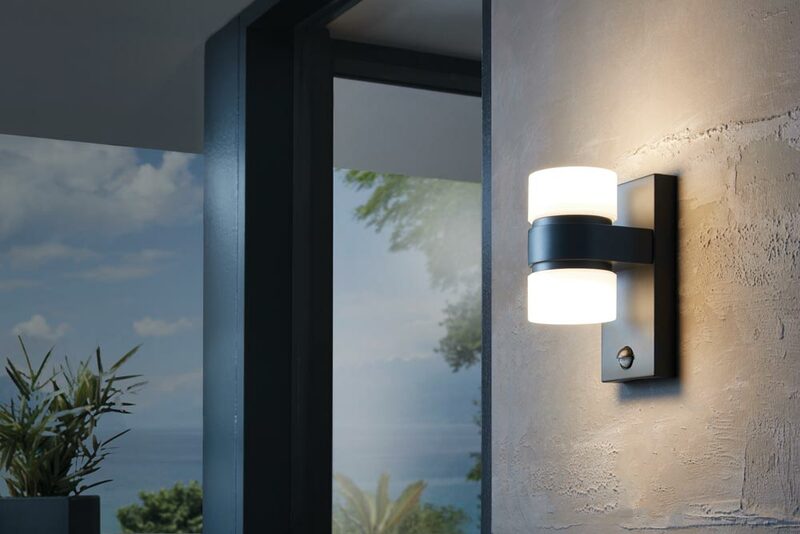 The Atollari modern 2 light 12w LED outdoor sensor light finished in anthracite is rated IP44, very bright, energy efficient and modern. Constructed from cast aluminium and finished in anthracite, with a warm white 6w LED module top and bottom covered by an opal polycarbonate shade. 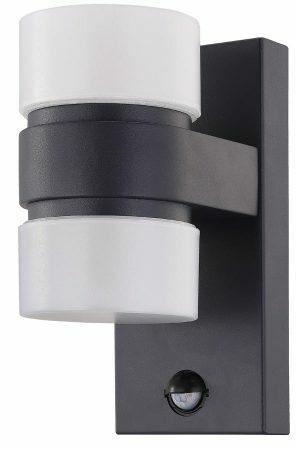 The integral PIR motion sensor has a 90° detection angle, 6m range and 10 sec – 4 min activation time. Fitted with two non-replaceable 6w warm white LED modules that give a total output of 1000 lumens, this sensor light will cast a bright light whenever someone approaches. Also available finished in silver, please see below. Atollari Modern 12w LED Outdoor Sensor Light Anthracite IP44. Is there a manual override facility so that the lights can be switched to stay on and then can be switched back to sensor function? Thank you, Nigel Sparrow. The Atollari PIR light does not have an override facility and we are not aware of any that have. The ability to override PIR lights is no longer available due to the energy saving legislation over recent years. The cable enters the back plate from the bottom of a central separate junction box which is mounted to the wall prior to fixing the light over the top of it.